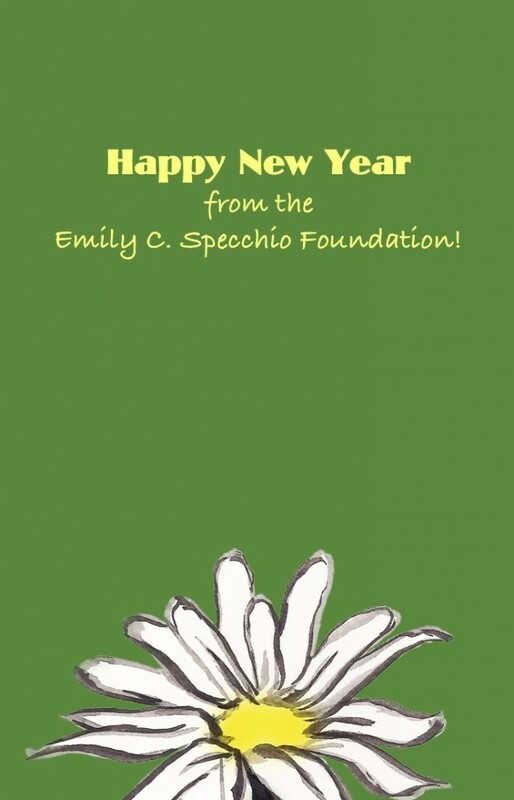 The Emily C. Specchio Foundation » Happy New Year! 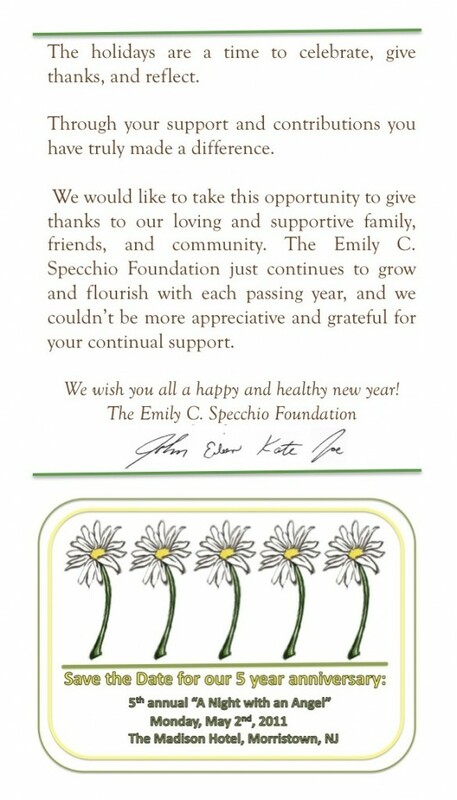 2010 was a fantastic and very productive year for the Emily C. Specchio Foundation thanks to your support! We truly have a lot to be thankful for. The selection of four Virginia Tech students with excellent records of leadership, scholarship, and community service to award the endowed Emily C. Specchio Memorial scholarship, bringing the total scholarships award since inception to 17! Awarding our 2nd annual Emily C. Specchio Ambassador Grant to Janet Latuga from Fairfield University for her proposal to empower Nicaraguan Artisan entrepreneurs. The sponsorship of inner-city high school young women volunteers to attend “The Women’s Future Leadership Forum” run by NJ Junior Achievement. Funding twelve young women entrepreneurs from around the world through Kiva no-interest microloans, bringing our total entrepreneurs supported to 24. Supporting and organizing the 5th Foundation for Peace/College of Saint Elizabeth health mission trip to the Dominican Republic. Partnering with BlinkNow Foundation and Maggie Doyne to fund and build a playground using recycled materials at an orphanage and elementary school in rural Nepal. Inaugural Emily C. Specchio Scholarship given through The National K-12 Ceramic Exhibition Foundation to support young students who desire to give back through the arts. Donation of a new Panasonic laptop computer (courtesy of Jay Caldas) to the Mother Patern School of Health Sciences Library in Monrovia, Liberia for the new Masters Program in Nursing Education. Helping Sister Prisca Nwogu, R.N., College of Saint Elizabeth Alum, in her humanitarian project to build a hospital in Evbuotubu Village, Nigeria, which will serve nearly 1 million people who currently have no nearby medical facilities. Thank you all for your continuing support!! We hope to have an even bigger and more successful 2011. Happy New Year!